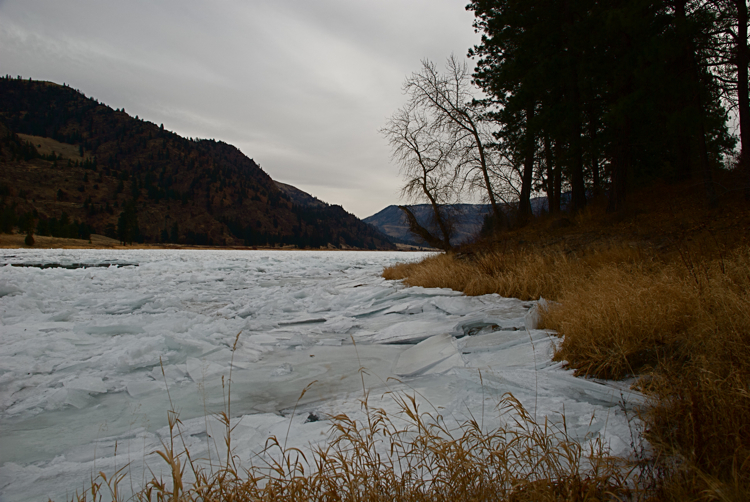 This morning it was evident that the flow of ice cakes down the Clark Fork had diminished considerably. The reason for that had to be that ice jams were forming some twenty miles upstream on the Flathead and I drove up there just to see it. When the river gets like that it’s a graphic portrayal of cold! 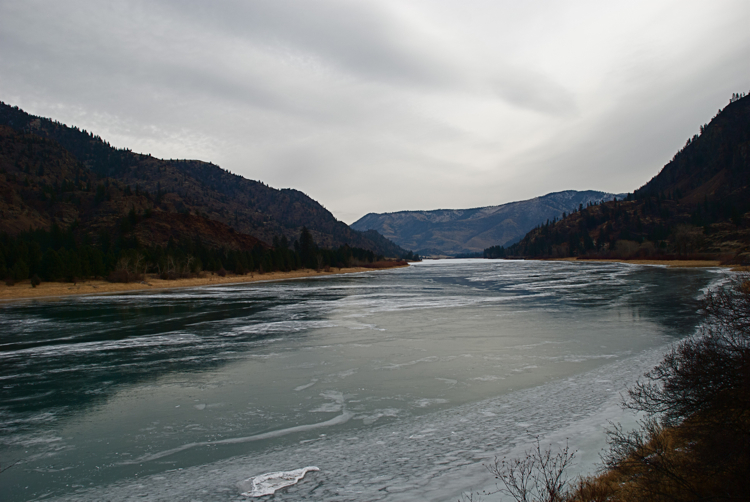 The shiny part of the river is not open water, it’s clear ice. 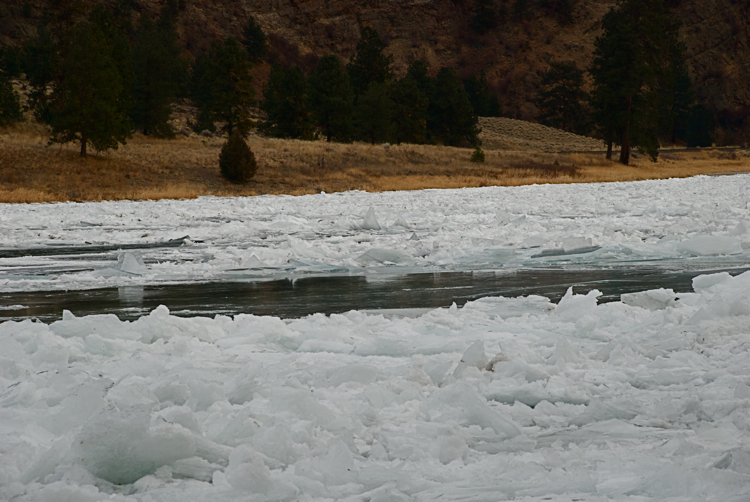 Because it is frozen completely across, just a mile or so upstream as ice cakes float down and meet the solid ice, they begin to pile up and form an ice jam. Just for perspective. At this point the river is about a hundred yards across. 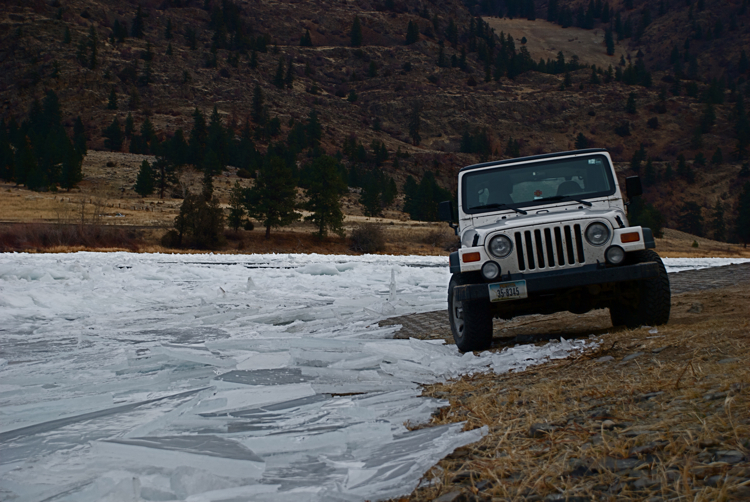 This is about the middle of a three-mile stretch of a river of ice.